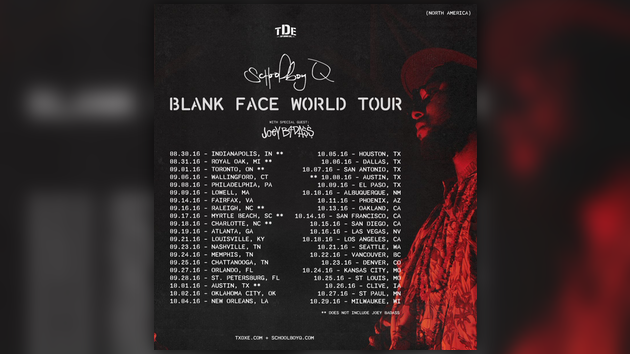 His Blank Face LP is currently making its rounds & today ScHoolboy Q has announced the official Blank Face World Tour. 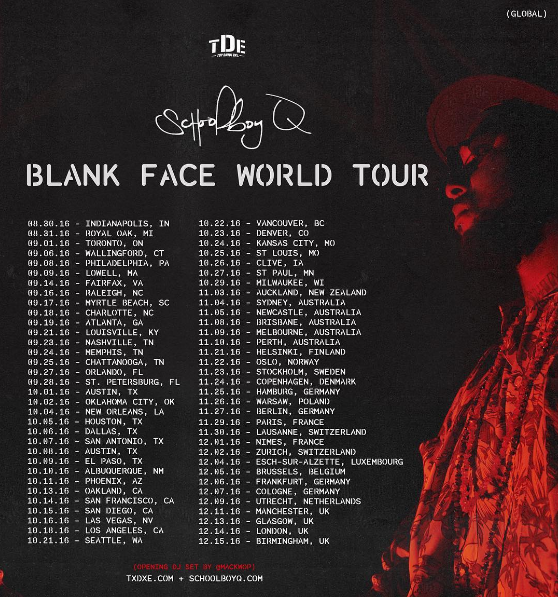 Kicking off at the end of next month, Q and Joey Badass will hit 40-cities across the U.S. from Boston to LA. After that, Q will be going overseas for an additional 23 shows, see the entire schedule below.